One proverb that stands the test of time, and is understood across many different languages and cultures throughout the world is that “there is no such thing as a free lunch”. Retaining professional services, whether it be with an accountant, a lawyer, or a financial advisor is no exception to this rule. Where there is much variation and debate, is in how these professionals are compensated. One model involves large up-front retainers which are then deducted over time as the work is billed out. Other professionals structure their business around flat annual or monthly fees depending on the complexity of the services provided, plus ad hoc billings for any extra specific projects. In the realm of financial advisors, the business model to provide services to clients typically consists of commission based compensation or a fee-only based business model, or a blend of the two depending on the services provided. With the commission based model, the advisor typically receives compensation for either recommending a financial product or specific investment. Good examples of commission based compensation include real estate purchases, setting up life insurance, specific financial products, or private placement investment into startup companies or other forms of private equity. Depending on the monetary level of investable resources, a person’s current or expected future country of residence, their risk appetite, or their citizenship; certain types of insurance based structures or other financial products could be appropriate for tax planning, estate planning, simplification of annual international reporting requirements, or reasons rooted in the individuals behavioral biases. In addition to the above, with regards to ongoing portfolio management of medium to large amounts of investable savings, a fee-based model is becoming more prevalent and more popular; and for good reason. The obvious and most heralded benefit of fee-based compensation for ongoing portfolio management is that it seeks to remove conflict of interest. In this model the longevity of the business revenue is ensured by the proper protection and steady growth of the client’s assets, and as such the interests of the investor and the interests of the advisor are aligned. This is in contrast to a criticism of the commission based model in which the real estate broker, insurance broker, or startup investment promoter might not be acting in the investor’s best interest when recommending a particular solution. Another primary benefit to an advisor working on a fee-basis is their ability to provide you an objective second opinion to your current or planned investment portfolio. If you are ready and willing to pay an agreed upon up-front hourly fee for their advice, you are then able to safely consider their advice without having to wonder if any criticisms of your current portfolio are simply to increase their own bottom line; as they have already been paid. The reality of this discussion is that just because an advisor is compensated on a fee-only basis does not guarantee the quality of the advice. Just like different accountants or lawyers have different specialties or abilities, different financial planners and advisors are going to have differing experiences, specific expertise, and abilities. Accordingly, it would be best to ensure that your financial advisor’s own expertise aligns with your specific situation, or the advisory firm provides a pool of talent from which to draw on for any particular problem you may need solved. Also, no professional compensation model is 100% conflict-free. For example, if you are considering to remove money from your investment portfolio in order to purchase some other investment (such as one of the examples above: real estate, life insurance, a financial product, or a private placement discretionary investment), then this withdrawal from your portfolio would directly affect the fee-only advisor’s bottom line. Lastly, another drawback of a fee-only model is that, from a business standpoint, it would typically necessitate a larger minimum portfolio size to justify the time and service provided. As is the case with other topics in personal finance, there is no one size fits all answer. The best solution will depend on the specific types of investments or planning advice you require. 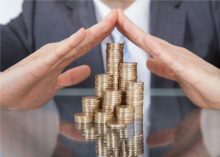 In all likelihood, throughout your life and your career, whether it is advice on purchasing a home, setting up life insurance to protect your family, managing an ongoing portfolio of investments, or taking unique risks investing excess cash, you will likely engage in both commission based compensation as well as fee based compensation. In each case it is best to work with an advisor that explains all fees and associated services, so that you are able to make an educated decision regarding the investment or service in which you are engaging. Accordingly, a professional firm that is able to provide a variety of such services, or at least can point you in the right direction of a service you may require, would be best suited for providing ongoing comprehensive guidance throughout your life and career. – Financial advice: A substitute for financial literacy? – Collins, J Michael. Financial Services Review; Atlanta21.4 (Winter 2012): 307-322. Pros and Cons of fee only investment advice.